in picture one i'd like to know what that brown thing that is growing on some of my rocks. and in picture 3 i'd like to know what are those green flower things. Ok for starters I'm not the best identifier so I could be wrong but in pic 1 it looks like you have aptaisia. 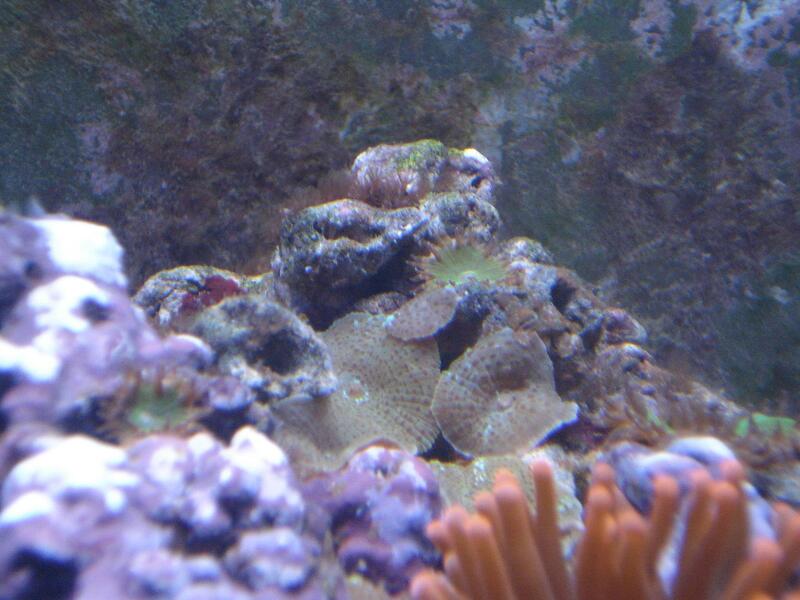 In pic 2 you have spoges which are normal for a healthy tank. 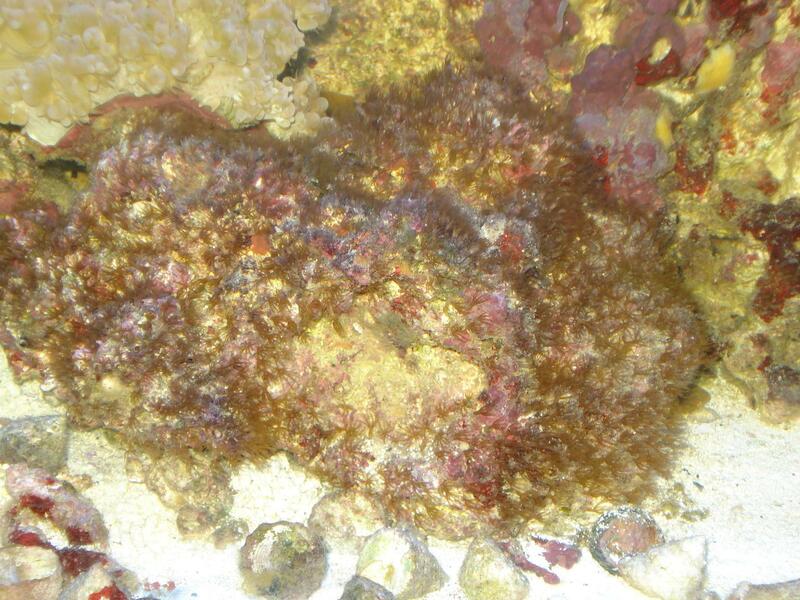 In pic 3 those are probly button polyps. But I'm mostly certain that you have aptaisia in pic 1.
the first one may be aptasia but they're all the same size, so it makes me wonder if they aren't some type of clove / star polyp. can you get a closer pic?? number two, i agree, some type of sponge. number three looks like a majano ( another pest) but could you post a couple more pics?? i don't think it's aptasia because i had it before and it's not the same it's very small and been small for over 6 months. plus my pepermint shrimp don't even bother with any of it. 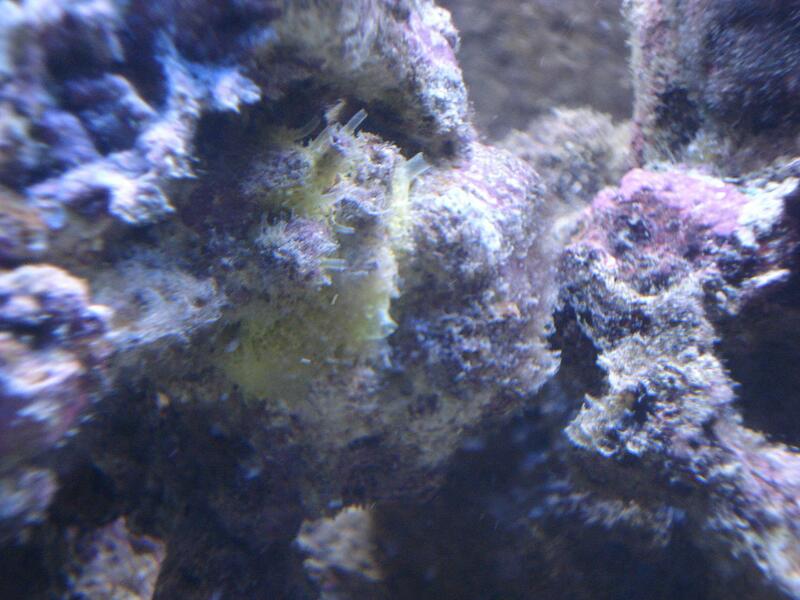 pic#2 and 3 I wouldn't worry about pic#1 is questionable how is the bubble reacting to those brown polyps? does it look stunned, if they sting then it's not desired.